Ever since I could remember, I have had two identities: the good Chinese daughter, and the extroverted, social butterfly that I am. I was never truly able to reconcile the two sides of myself growing up in a strict and traditional Chinese home, so I would hang up my “wild child” identity at the door and step into the shoes of the quiet Chinese daughter at home; one who was “seen and not heard”. This obviously didn’t work very well as I grew into my teens and rebellious years (but that’s a story for another day). As we all go through a period of self-discovery, learning who we are and how we fit into our world and society, I found it harder and harder to behave in ways that was expected of me. Years of full blown identity crises later, I am still trying to find my footing as I fuse that part of myself I tried to shed – the Chinese heritage – with the skin that I am comfortable in today. Being the mother of two young boys who are second generation Chinese Canadians, I find it more important than before to retain my Chinese culture and traditions to share and pass on to them. This blog is my journey as I explore my Chinese heritage and how I fuse it with the modern western lifestyle of a young family that I am living today. When I was looking for a word to embody this “East Meets West” theme, I couldn’t quite find something eloquent enough to describe what I was looking for, until my eyes landed on the beautiful antique Chinese chests, vases and paintings my late grandmother left to me. I realized that I always had a love for Chinoiserie decor – the European interpretation of Eastern decoration and art. 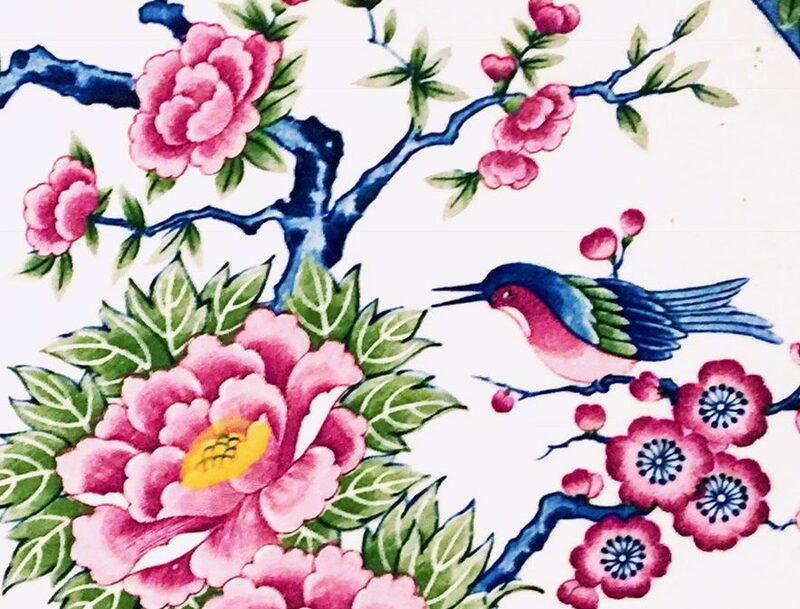 I looked up the meaning of chinoiserie and it literally means “Chinese-esque” – exactly how I feel as a first generation Chinese Canadian, living in a Western society, yet still invested in my Chinese roots. That was literally ME. I am Chinese-esque. And this is my Chinese-esque life. Welcome to my world! For those of you who do not fit into this category or are just curious about the mysterious East, I hope to decode some of my cultures and traditions for you. And for my fellow Canadian (or American) born Chinese, join me on this journey and drop me a line! Tell me how you identify with this “Chinese-eque” identity? I suppose I’m lucky – my family wasn’t (and still isn’t) all that traditional. I mean, I was certainly EXPOSED to Chinese culture – my grandparents lived with us and I only spoke Cantonese until I started school, but I went to Brownies/Guides, was allowed to listen to whatever music I wanted to (luckily, I was very clean – NKOTB, Paula Abdul, Whitney, Mariah, Sarah McLachlan and Broadway musicals). I was even expected to go away for university. My parents told me that I had to live in res, even if I went to U of T. Still, there were elements I wasn’t happy with. I didn’t like the food (it doesn’t help that my grandmother was an awful cook – she was raised upper middle class in Macau, but then the Japanese came and you know…she even told me that a lady didn’t belong in the kitchen (because being a “lady” and being a “woman” isn’t the same thing) and always wondered why we had to have rice every day (I still don’t like rice – especially white rice (I’ve banished refined grains from my home, but that’s a whole other thing) and only eat it at restaurants or if I get takeout). However, there is one food thing I JUST CANNOT relate to when it comes to first generation Canadians and Americans – the whole stinky lunch thing. My grandmother, who controlled my school menus, never packed leftovers/traditional Chinese food. Yes, I may have taken char siu sandwiches to school, but they were still sandwiches, which made my lunches less suspect. And I was always allowed to participate in the school’s pizza lunches. In university, I decided to explore my heritage a little more. I didn’t bother joining the Chinese Students’ Association because I felt they were ignoring a segment of CBCs who did not know how to read or write the language. All of their publicity and marketing was done in Chinese only. Instead, I majored in history and focused on East Asia. Focusing on East Asia more or less means a strong focus on China. After all, China had (and still has) strong influence over several countries (and at one point, politically dominated (many of) them). To this day, Korea and Vietnam, for example, are still influenced by Confucian culture. At the same time, I began to wonder if that influence, which still lingers STRONGLY, is causing people to be so…stoic and unopen. And I think that’s wrong. It’s probably why they are still years behind in terms of being open about mental health (people from East Asian cultures are often “sicker” when they get treatment, partially because of how they worry that they’re “possessed” or because they think being open about it – airing dirty laundry, especially – would ruin the family name for generations to come) and the idea of family – especially bloodlines needs to be broadened. I’m saying this as someone whose hypothetical children will have zero genetic connection to me as we are hoping to have a baby using a donor and surrogate (the baby won’t have any genetic connection to the surrogate either). Hi Amy! Just like you, I am planning to pass on the Chinese traditions and culture to my children in the future. I’m glad you are doing this, and I can’t wait to continue reading about your journey! ❤ Cheers!